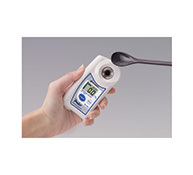 This refractometer determines the density of battery fluid (charge level) and the freezing temperature of ethylene glycol and propylene glycol (coolant / antifreeze mixtures). The prism housing design allows for sample to cover the prism without having to lift the day-light plate, for an accurate reading. 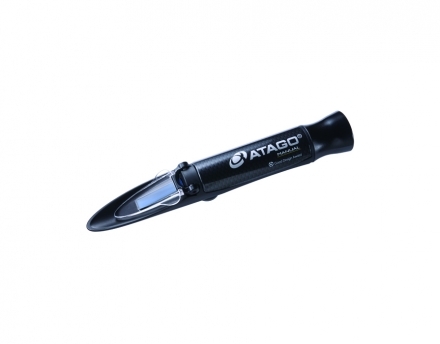 This hand-held eye refractometer allows a direct reading of the result on a dual blue scale. The MASTER BC refractometer has a special scale to measure battery fluid specific gravity (charge level) and the freezing temperature of ethylene glycol and propylene glycol.